Displaying 1 - 10 of 24 1990 Nissan Skyline reviews. Cons: hefty bills and "skyline tax"
Meh — Its ok, but it needs a coat of paint and some bushings in the back. 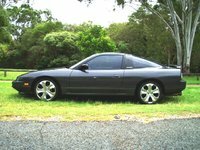 Other then that it likes to dance :D Solid car, needs new coilovers and some other stuff, all little stuff and easy fixes. Nuff said! Cons: squeeky due to bushings. Grrrrrrrrrrrrrr8 — What a car!! I use it for fun because I love driving it. Joyful, fast and responsive. RB engines are brillinat and an R32 with RB25DET swap is all you need to turn every weekent into a car lover's holiday. I simply love it because it doesn't take an expect to know which car is the best out there. 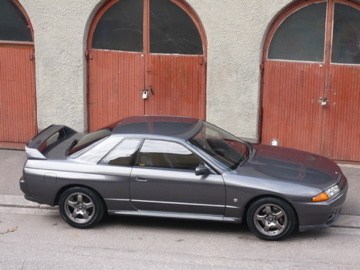 Supras are cool, American cars are fabulous but there is nothing like a Skyline. Pros: Very responsive, high potential for modification. 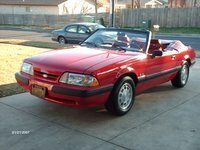 R31 Gxe — Smooth and comfortable with a very strong engine a good gear change, and relatively powerful brakes; however the handling is appaling and the interior is not great either. Instrumentation and seats are spot on; and it has a big boot and good towing. Also there is a lot of performance that could be extracted. Pros: the acceleration and engine note. Best Bang For You Buck Preformance Wise — It is fast so i love it, 0-60 is in 4.7 seconds. Broke the Nurmberg time, was so good it was banned from the australian touring car. Very fun the speed is quick and very responsive comes alive when you go faster. It's Cute, No? — Okay so it's old, but it's good. Not great looking, and not that well equipped either because it's just a base model. Sure it's fun to drive, the engine still has a bit of kick in it. Off the line it's not bad. Handling is alright, not special. I need my brakes done. It's a bit thirsty especially if you encourage it. In the 12 years it's been in the family I don't know of any major things that have gone wrong, and I've had it 6 months with just a few minor issues. Bnr32 — Great performing car. Not the easiest vehicle to work on based on the hydraulic lines and electrical support for the 4wd system and 4 wheel steering. 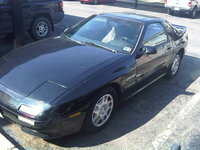 Does have a flimsy feel to it as compared to say my Supra but then again it weights 700 lbs less. R32 Skyline — it drive great and performance is great, the interior in the car is great to sit in, the exterior looks great and if the car is lowered and if it sits on 17-18 inch rims on it, and a carbon bonnet it looks like the best car i have ever sine. Pros: it has a turbo engine.